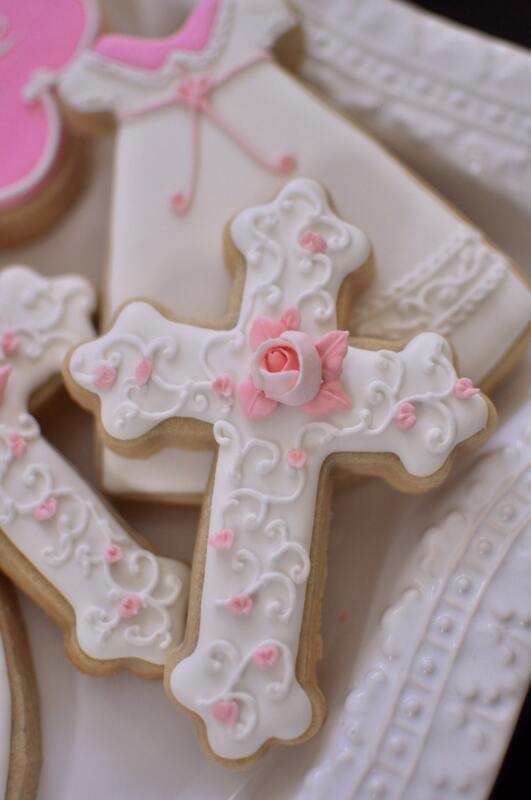 12 Christening, or First Communion Cookies- Cross, with rosebud accent. 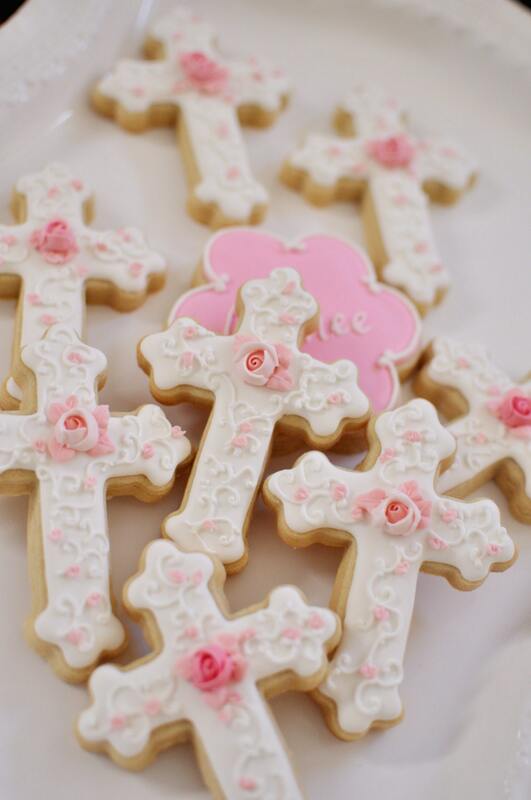 This listing is for a dozen cross shaped cookies for Christening or First Communion. They are iced with royal icing. They will be individually wrapped in self adhesive resealable cellophane. Colors can be modified to your liking. Please message me for any customization. This listing includes the cross cookie only. Loved the cookies. Not only were they pretty but also very delicious! They are absolutely gorgeous and tasted soooooooooooo good!!! I can't wait to find any excuse to order from them again :-D Thank you so much!